Our suites are located above the newest mall in Beit Shemesh called Kenyon Migdal Shaar HaIr (Gates of the City Mall) which is Beit Shemesh’s most popular place to go out for a fun evening. There are copious eateries, Ten Pin Bowling, Banks, Rami Levi Supermarket, parking and so much more, which makes this location convenient. It is also within walking distance to the train station and bus stops. There is a Big Fashion mall across the street as well as the older Big mall next to it so there is plenty to do and see. 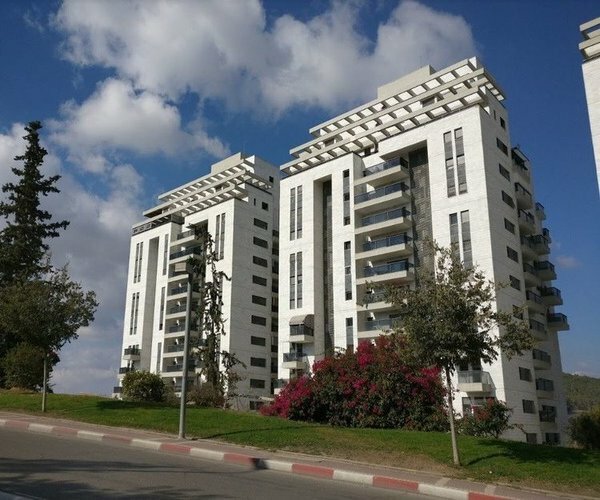 Beit Shemesh is located approximately 30 km west of Jerusalem in Israel’s Jerusalem District, halfway between Jerusalem and Tel Aviv, with a population of 109 762 in 2016 which is expected to reach 150 000 by 2020. The history of Beit Shemesh goes back to biblical times. The modern city of Beit Shemesh was founded in 1950. The ancient city of Beit Shemesh (House of the sun) was originally named after the Canaanite sun-goddess Shemesh. The ruins of the biblical city can still be seen at Tal Beit Shemesh. Beit Shemesh is first mentioned in the Hebrew Bible in the Book of Joshua as a city in the territory of the tribe of Judah on the border between their territory and that of the tribe of Dan. In Joshua 21.16, this city was set aside as one of the 13 Kohanic cities for the priests of the tribe of Levi, the Kohanim. 200 000 residents, with 17 000 new housing units build along with 130 acres zoned as new commercial space for business and hotels.